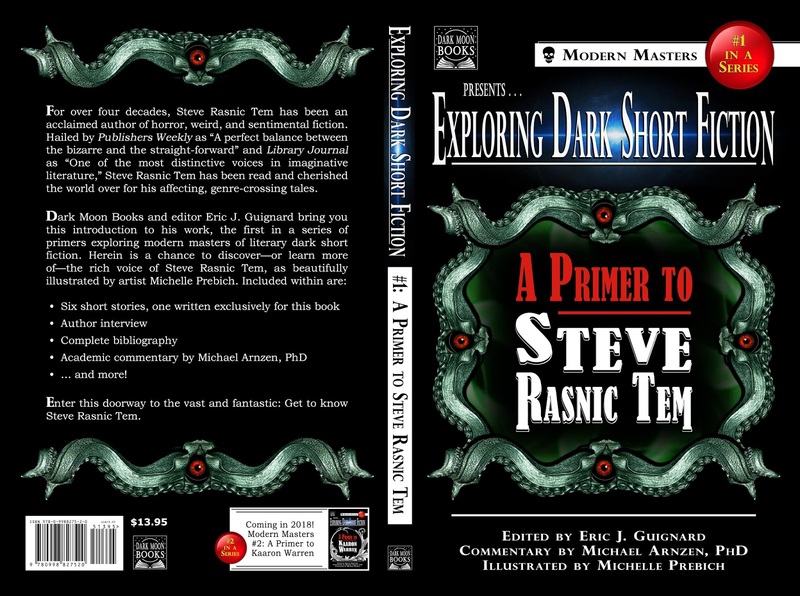 EXPLORING DARK SHORT FICTION #1: A PRIMER TO STEVE RASNIC TEM is now available!! 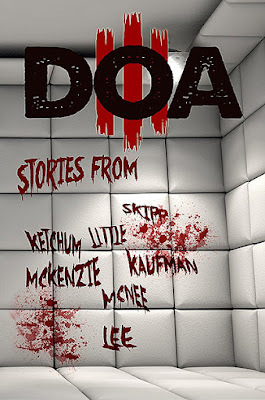 My first book as a publisher just went live!!!! 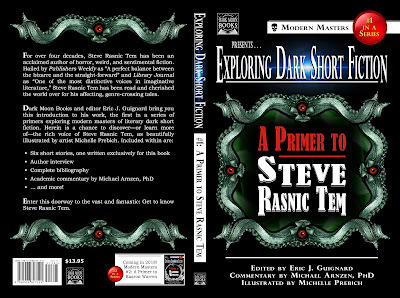 The first in a series of scholarly primers, introducing and exploring modern masters of literary dark short fiction: “EXPLORING DARK SHORT FICTION #1: A PRIMER TO STEVE RASNIC TEM,” published through my press, Dark Moon Books. Line up the cigars, 'cause it’s like the birth of a new child. And immense thanks and gratitude to Michael Arnzen for his sharp commentary throughout the book, and Michelle Prebich for her gorgeous interior artwork, and especially to Steve Rasnic Tem for consenting to this project!